As a general rule, when I’m on the road, I avoid cities. I’ve made a few exceptions – St. Louis, New Orleans, Whistler, San Francisco, NYC – but usually I head away from the dots on the map, towards the small towns and blank spaces. When I do find myself in more urban areas, my favorite mode of travel doesn’t change — I always prefer to get to know places on foot. 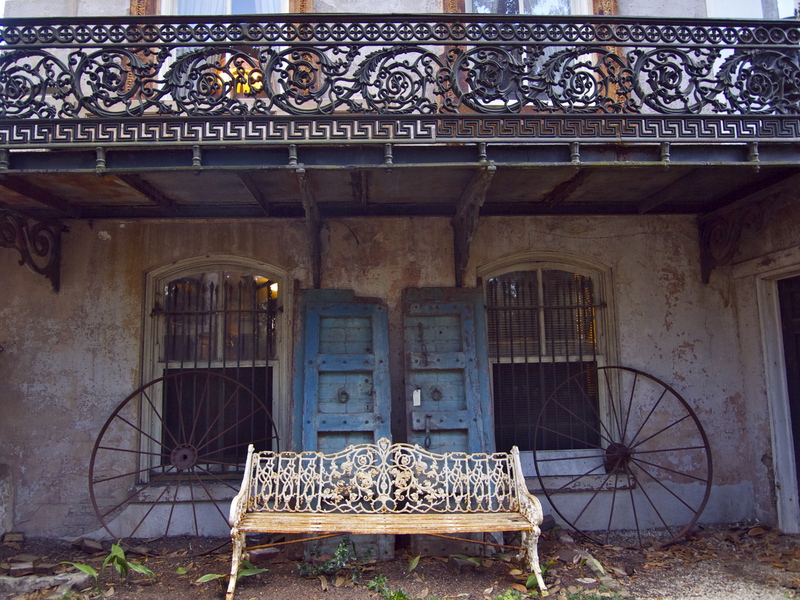 Historic towns are crawling with guided trolly, bus and carriage tours. So when I find myself in a place like Savannah, Georgia, the first thing I do is head to a visitor center and pick up a couple of the maps put out by the sightseeing tour companies. Then, I start walking the routes. 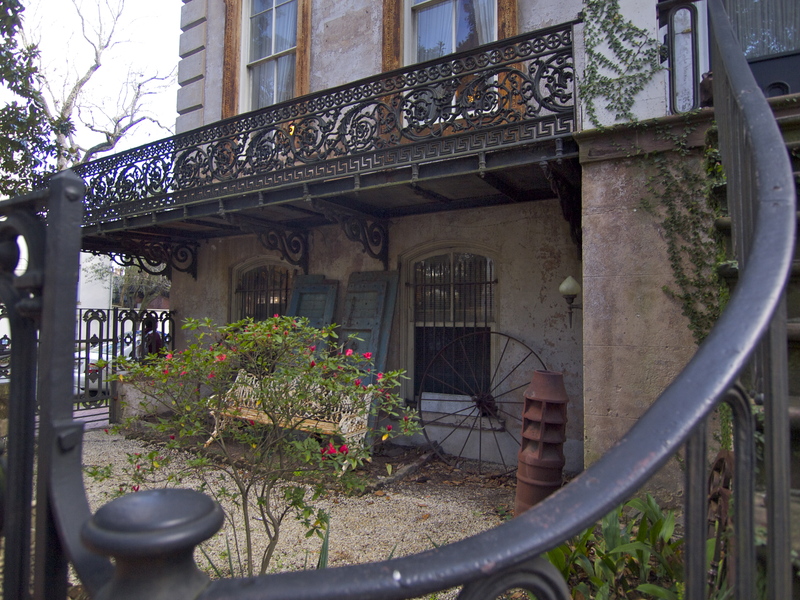 Not only is this approach free – the Old Town Trolly Tour in Savannah is $26 a person, private carriage tours run $95 – it’s a great way to fulfill rule of the road trip #2: Take a long walk everyday. Besides, the people riding along on the tours never look like they’re having very much fun. Savannah Self Portrait. 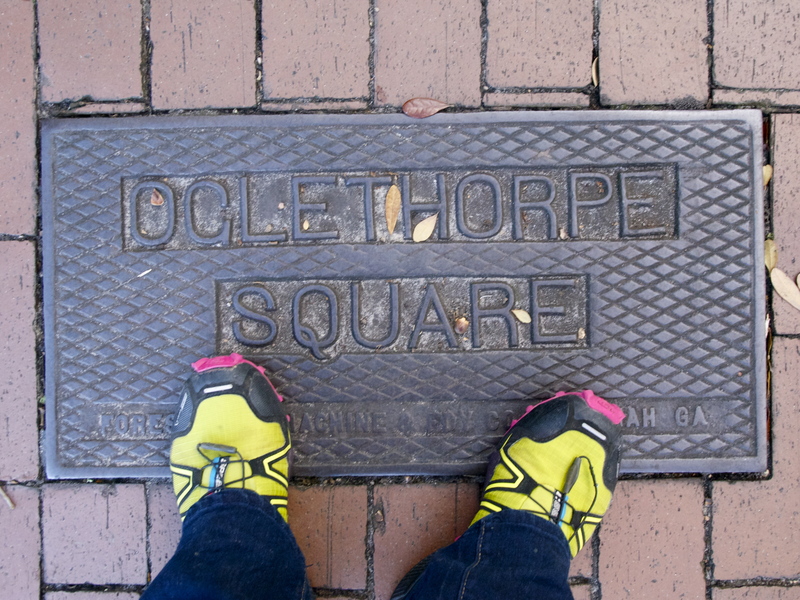 Good walking shoes are essential! 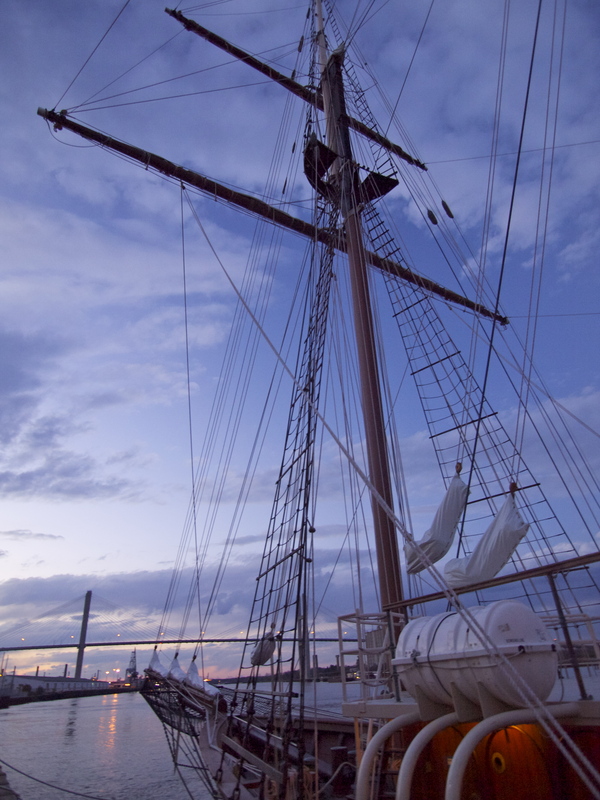 Sunset on the Waterfront. Rule of the Road #7: See as many sunrises and sunsets as possible. Stay tuned for a post from the Everglades! This entry was posted in Bowie & D.O.G., Photography, Road tripping!, Uncategorized, Vagabonding 101. Bookmark the permalink. 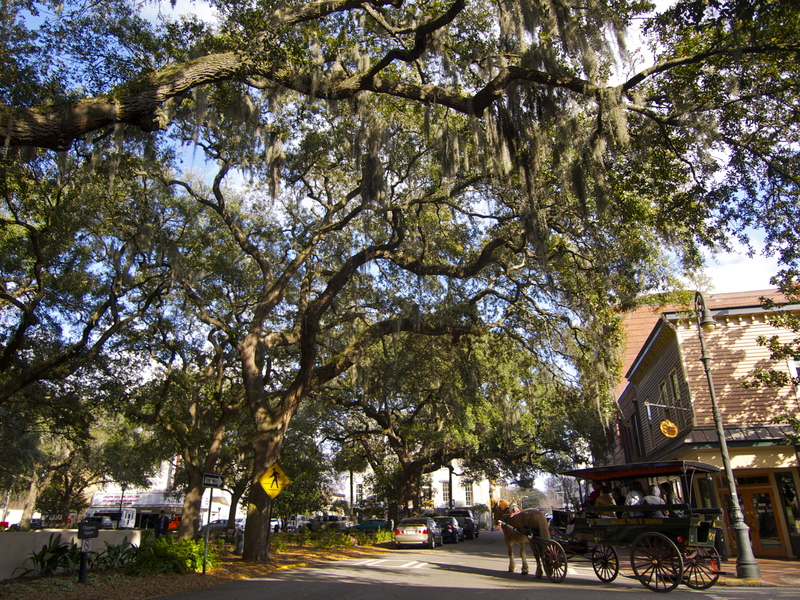 Savannah looks like a beautiful city to make an exception to the Rules of the Road. 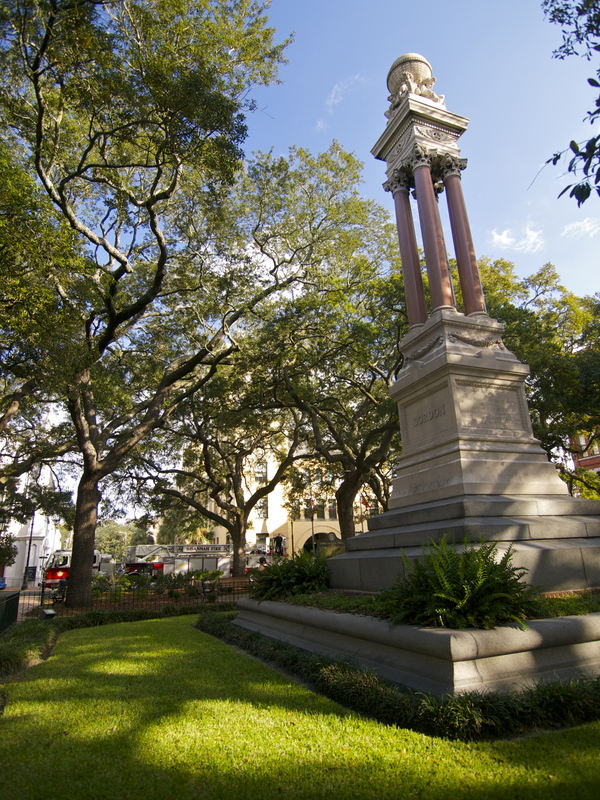 Savannah is a great city! We stopped there on our way to and from the Keys a few years ago. It was very dog friendly. We spent a day walking around the squares, and when we stopped for lunch we sat outside and the waiter brought out a bowl of water for the dogs. Yep, our dogs were basking in all the attention! Lots of dog people in Savannah! 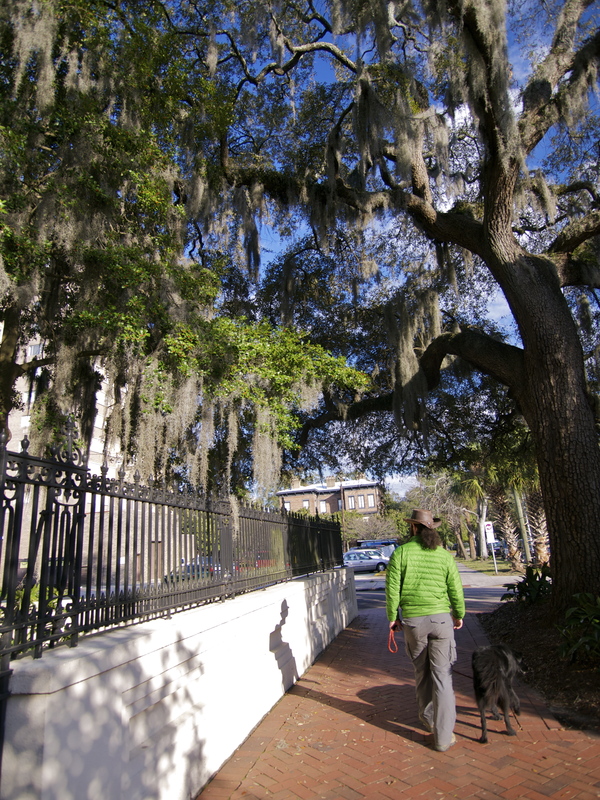 Savannah looks like such a gem with all those twisted tree trunks, Spanish moss, and graceful iron balconies. Thank you for allowing me the opportunity to have a walk in a place I always wanted to visit. Even though it is just me enjoying the pictures…am still feeling like it was a good walk in my mind. 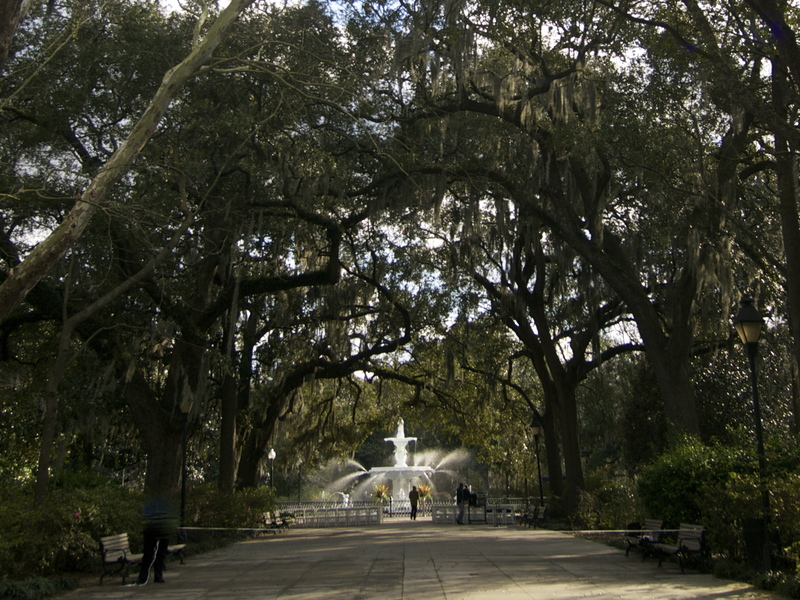 Savannah has always been one of my cities. Been there many times. 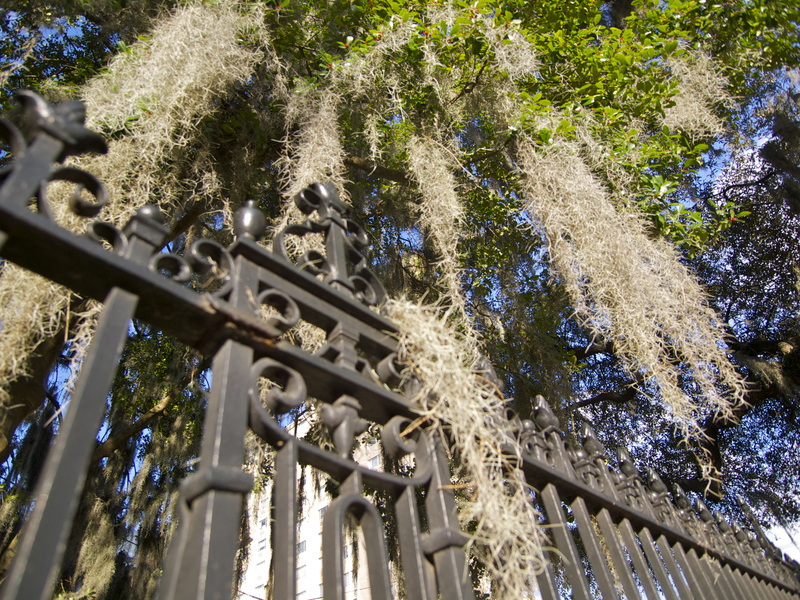 Bonaventure Cemetery is one of my favorite places to take pictures. 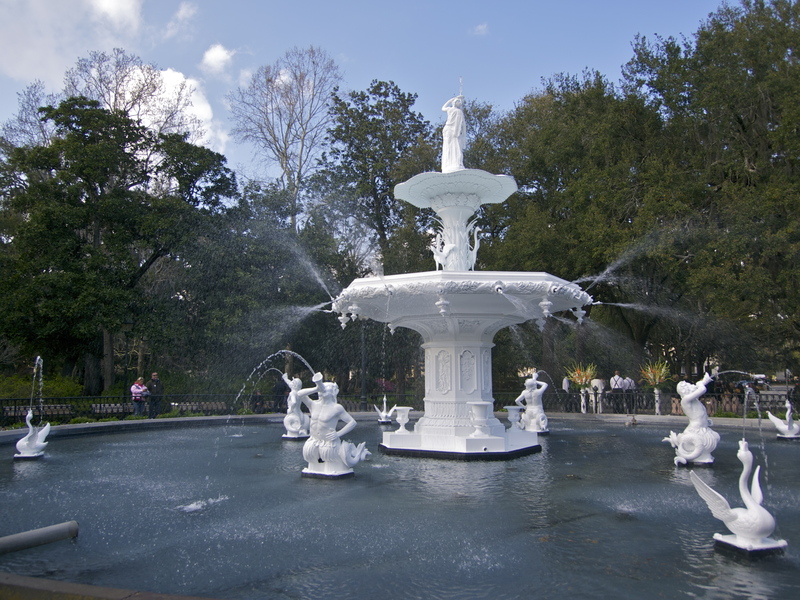 Beautiful Pics.Especially love the Forsyth Fountain. I haven’t been to Savannah since I was 10. Your photos make me want to go and walk it. Thanks for sharing. What walking shoes do you recommend? I’d like to find some good all-purpose shoes for me and my kids since we do a lot of walking.